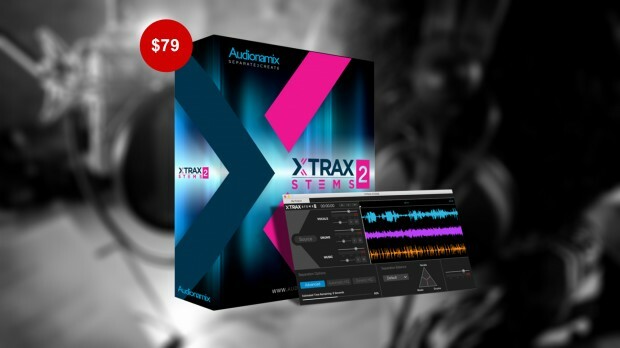 Audionamix has announced XTRAX STEMS 2 available at the introductory price of $79 until November 6th 2018. XTRAX STEMS 2 features a 30% Faster Advanced algorithm to speed up your stem separation work. Powered by brand new, artificially intelligent algorithms, XTRAX STEMS 2 offers faster, cleaner stem separations, backing tracks and a cappellas at the same low price. Created for DJs, music producers and remix artists, XTRAX STEMS allows users to separate any song into its vocal, drum, and remaining music components for easy sampling, remixing and unmatched control during live sets. This entry was posted in Audio Software, DontCrack, Promotions and tagged Audionamix, backing tracks, DJ, music producers, remix artists, Separation Balance feature, stem separations, XTRAX STEMS 2. Bookmark the permalink.